After a long and busy day there is nothing better than climbing into bed and Just being able to relax. We sometimes forget that the bedroom isn't just for sleeping but relaxing and unwinding in the evening's before getting some much needed shut eye. With this in mind I wanted to share with you some ways to make your bedroom more relaxing. The bed is the most important item in the room and its essential that you have a bed that is right for you. This means not only a comfy matress but also the style of bed you have. 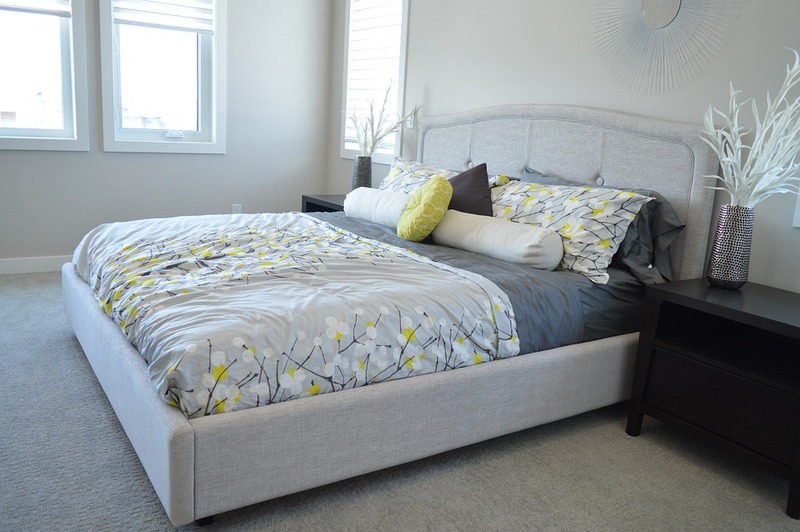 Take our double bed, we decided to go for a ottoman bed so that we have more storage for our small home. Studies show that by not using screens before bed helps you to sleep better! So an hour before you hit the sack step away from the screens and relax doing something else such as reading a book. It’s time to ditch those old, worn sheets and duvet covers . Nothing beats slipping into soft, fresh and clean bedding. I also find I feel more relaxed and happy when I love my bedding. I love to light a beautiful smelling candle in our room or use my diffuser with essential oils to create a calm and relaxing environment. I also like to occasionally use a pillow spary with lavender and chamomile. Clutter can make you feel stressed and so it's important to have a tidy and clutter free bedroom. This is something that Stuart and I need to really work on. Whether it's a favourite piece of art work on your wall or a personalised gift from a loved one for example. Adding a personal touch to your room with items you love is a must for a relaxing environment. How great is fresh bedding! My room needs a complete overhaul. Thanks for the tips! Sleep hygiene starts here ! Great tips! I’m redecorating my room in a few weeks as my sisters moving out and I’ve been lost with where to start!